What thrill ride starts 50 stories above the ground in Las Vegas and drops you 500 feet in a matter of seconds? That’s right, it’s VooDoo Zip Line at The Rio. As you fly between The Rio’s two towers, there’s no doubt why this ride has earned it’s reputation as one of the most popular and exciting attractions in Vegas for thrill-seekers and adventurous spirits. VooDoo Zip Line is a lot more than a little exciting. 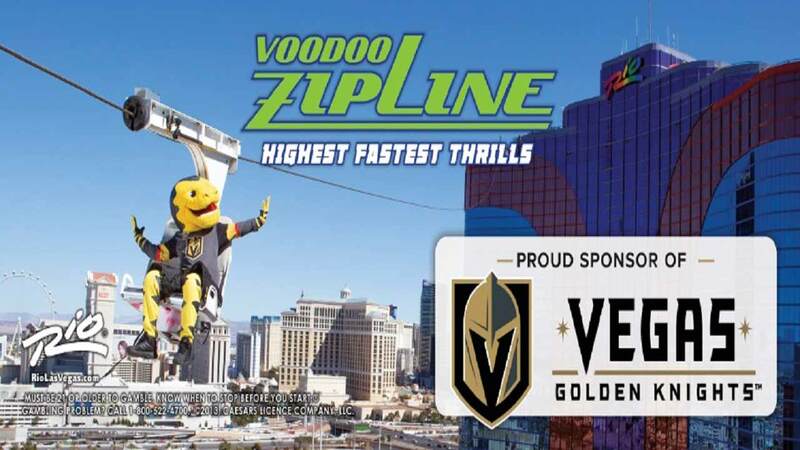 Seriously, if zipping through the air at accelerating speeds from dizzying heights with big giant drops is your idea of action, the VooDoo Zip Line should leap to the top of your list of Las Vegas attractions not to be missed. You’ll launch from high atop the Rio’s Masquerade Tower. Could there be a more perfect jumping off point than the Rio’s 50th floor launchpad? 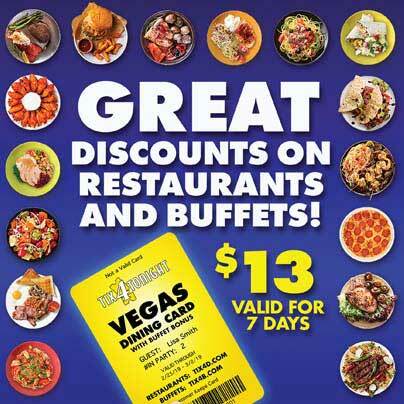 Your friends and family can cheer you on from the Rio’s rooftop patio. They can watch but they’ll never know exactly how you feel dropping 500 feet and reaching speeds of over 30 mph as you fly across to the Ipanema Tower over 800 feet away. It’s a steep, fast and exciting descent. But your ride isn’t over yet. Take a deep breath and get ready to fly again as you zip right back to your starting point facing, wait for it, backwards… it’s a thrilling round trip that regularly turns adventure seeking riders into raving fans. Couch potatoes, however, may prefer to sit this one out. On your marks, get set, soar! Day or night, The Strip is beautiful and worth seeing from above. If you’re ready for thrills and can’t wait to see Vegas from an exhilarating new perspective, don’t miss the VooDoo Zip Line. It’s over a minute of high stakes fun for adventure seekers and speed demons alike.